Whereas the first issue of this title was illustrated in pastel shades, with hints of the darkness to follow provided at certain points, this issue is a much darker affair. Let's find out what went down on the farm. In this issue Mackiewicz still retains most of the mystery in terms of the threat posed, but you can tell it is a case of seeding the plot points for later issues. To that end the issue doesn't have a padded feel about it; you can tell that the Mackiewicz is carefully setting the stall for events to come. That's not to say that we don't get any action. The issue itself shows Amelia and Randy returning to the homestead and finding bloodstained carnage. What the book does well is purveying a sense of waves of darkness increasing in frequency over the course of the story. In his afternotes to the issue Mackiewicz singles out the artwork in this book for praise, and you can see why. 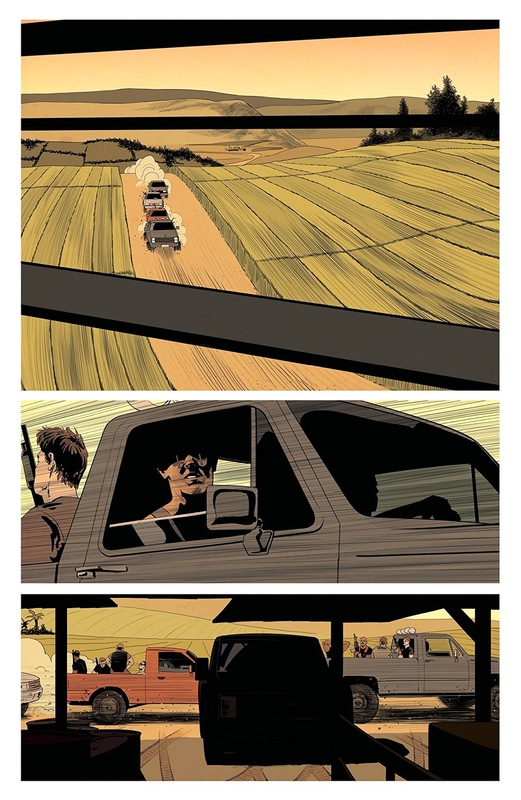 Walter and Lopes between them conjure up the comic book equivalent of Terence Malick's Badlands. In fact if you look at some of the screen shots from that film and compare and contrast against this issue you will see that the tone is almost identical. The great mystery - still to be uncovered over the 2 issues so far - is the exact nature of the alien bugs that feature discretely but critically. We are being tantalized with the linkage between the bugs themselves and how (or should that be if?) they are being utilized by the cartel targeting the homestead. 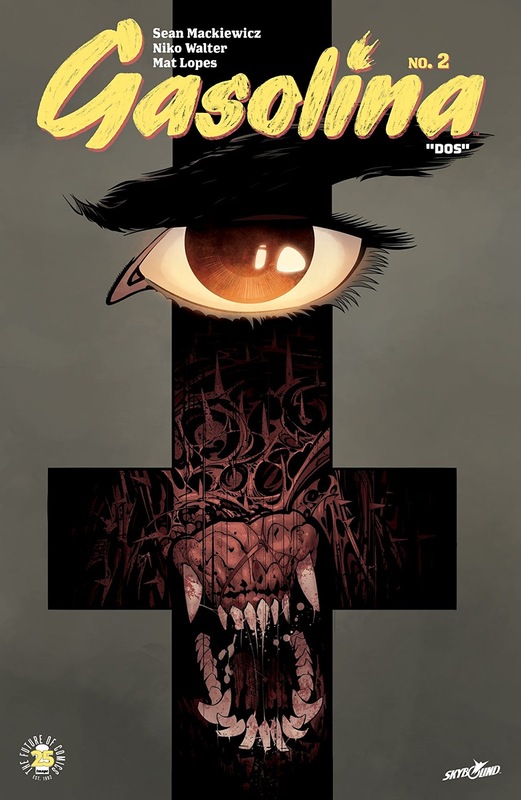 This issue keeps the momentum going from issue 1 and proceeds at a stately pace. 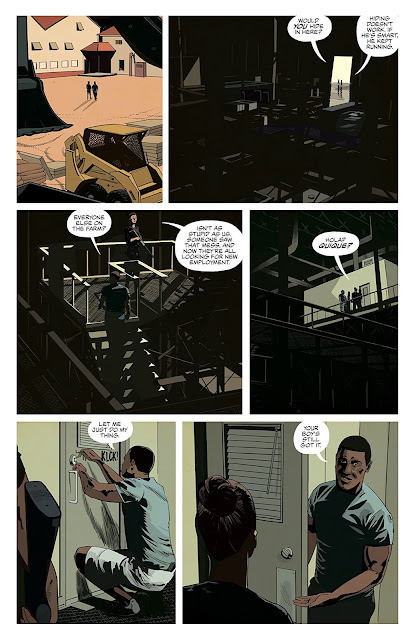 From the very first page it grips the reader into the story and there is an all pervading sense of an accomplished creative team at work in this book. Yet again the title strikes the right balance between the information it gives us, and the information it deliberately holds back. The fact that you still come away satisfied results from the confident mode of storytelling, and the delicious artwork. Warning though, this issue gets pretty grizzly at times so it may not be to everyone's taste. I am, however, hooked and can't wait for the next installment.